This item qualifies for Free Engraving. Sterling silver (teen's - woman's) cuff bracelet. Also available as a boy's cuff bracelet. Size 7" (Teen - Adult) - adjustable to size 8". Also available in a smaller size 5 - 6 for toddlers and grade school girls and a smaller size 4 - 5 for babies and toddlers. Cuff bracelet measures approximately 177.80mm x 6mm (7.0 inches in length x 0.25 inches in width) and may be adjusted to 8 inches leaving a one-inch opening. 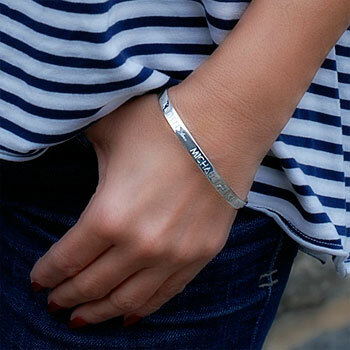 Bracelet shown in product photo has approximately a 3/4" (0.75 inch) opening. 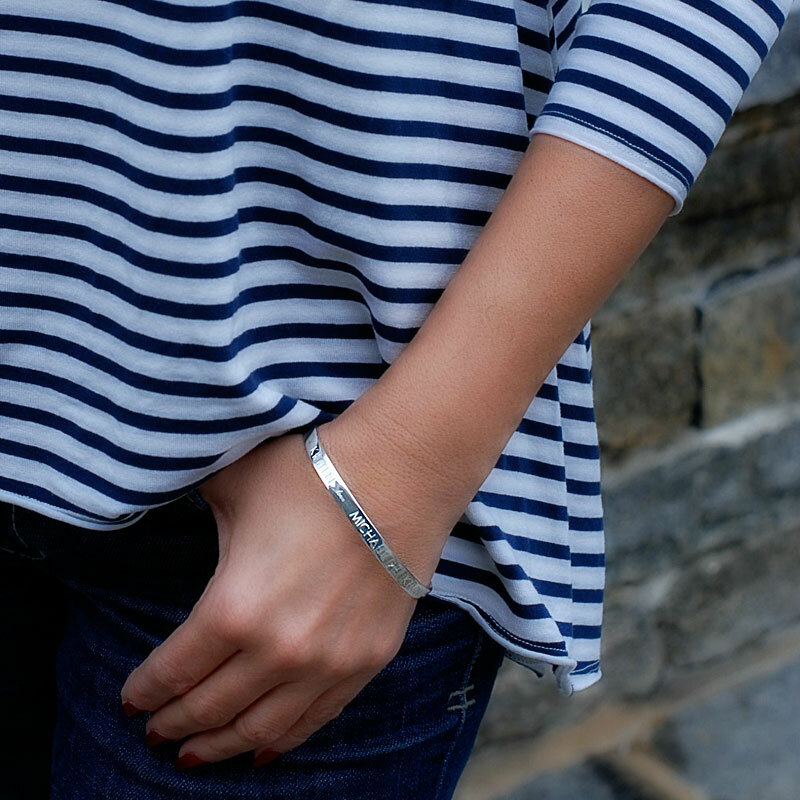 Cuff bracelet shown is personalized with two fancy heart images on in between each name. Most popular image to engrave is the fancy heart, fancy cross, or the ornate design with a poem on the reverse side. Bracelet measures 7" in total length - and may be adjusted to 8". Bracelet should fit snug but not tight. Child and adult wrist sizes vary depending on individual growth spurts. Please measure wrist to ensure the perfect fit.